At Featherstone Retirement we promote the independence and individual choices of those we serve. This dedication is reflected in our commitment to offer high standards and quality living. Our business is about you, the customer, and we look forward to having the opportunity to know you and serve in the best possible way. 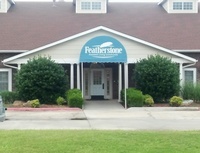 Featherstone Retirement offers the choice of one bedroom, two bedroom or studio apartments with private bathrooms. All apartments have kitchenettes with refrigerators and microwaves and some have patios. Featherstone Retirement provides a specially trained staff twenty-four hours a day to offer caring and competent support to residents. Scheduled transportation to and from doctor, dental, lab appointments, and shopping is offered. At Featherstone Retirement, we are dedicated to promoting each resident's independence, dignity, and right to personal choices. We recognize that each person has needs and preferences for care and lifestyle. With this in mind, we offer each resident choices in flexible service combinations and apartment styles. The affordable monthly fee is a combination of these two components. We are conveniently located off Eastern across from Moore High School between 12th Street and 4th Street. 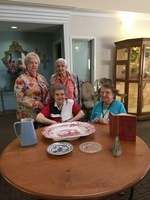 A short drive from the City of Moore's Brand Senior Center.